The Safe Escape Product Replacement Guarantee will still be available for the life of the device for the consumer, and TASER Bolt batteries and cartridges will continue to be sold on our website. Service warranty will continue to be honored for 1 year after the ship date. We understand how integral our products are to providing you safe and effective personal protection, and are committed to helping customers transition to our latest technology products as seamlessly as possible. 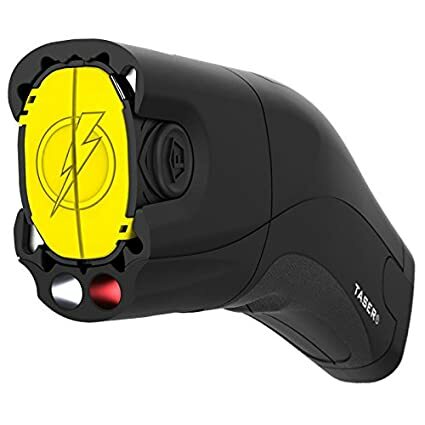 To discuss the best options, visit our help page or contact us at team@taser.com. If you own a TASER Bolt, claim a free black leather holster for your device. Add the holster to your shopping cart, and complete check-out with the discount code BYEBOLT. This entry was posted in Alerts, Less Lethal and tagged bolt, taser. Bookmark the permalink.